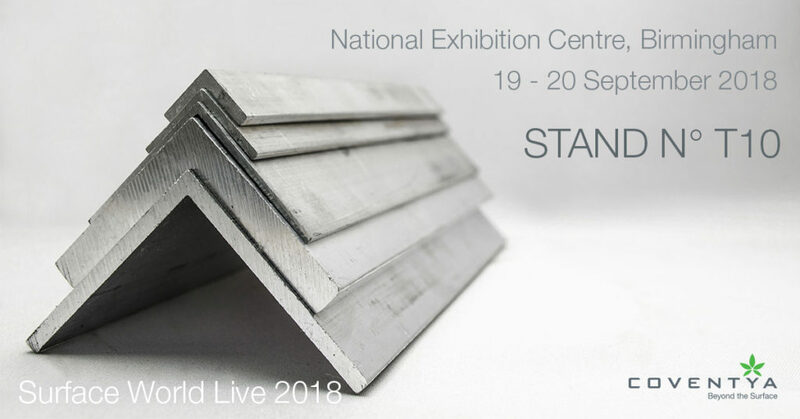 Surface World Live, the UK’s only event dedicated to the surface treatment, product finishing and coatings industry will take place from 19th to 20th of September 2018 at the NEC Birmingham! Come and meet representatives from Coventya at the stand N° T10 in the The British Surface Treatment Suppliers Association (BSTSA) visitor lounge of the Surface Engineering Association. 3pm on the subject of Chromate free treatment of Anodised Aluminium, a topical subject for the aerospace sector.